alaTest ha raccolto ed analizzato 593 recensioni su Cardo Scala 500. La media della valutazione per questo prodotto è 3.6/5, confrontata con la media della valutazione di 4.3/5 per altri Cellulari. Gli utenti sono impressionati da qualità suono e affidabilità. In aggiunta, qualità fabbricazione e design ottengono ottime recensioni. Abbiamo analizzato differenti valutazioni di esperti ed utenti, età del prodotto ed altri elementi. A confronto con altri Cellulari, Cardo Scala 500 ha ottenuto un alaScore™ complessivo di 82/100 = qualità Molto buono. A knock-off of the $70 Fischer Audio FA-004 headphones, Incipio's respectable-sounding f38 model is a relative bargain. The affordable ; over-the-ear headphones feature an attractive, retro design, decent build quality, and a relatively comfortable fit, and they sound good for their modest price. The f38s don't fold up or flat, and there's no inline remote/microphone for making cell phone calls. While they may not be truly special for their modest price, the Incipio f38s are solid, good-sounding headphones for the money. 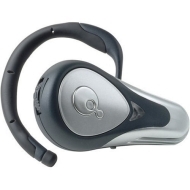 The Cardo Systems Scala-500 is a very lightweight headset gives consumers wireless freedom with a little versatility. The Scala-500 can be worn behind the ear or clipped onto your sunglasses. For employees in sales, field service and related fields who spend significant amounts of time traveling, reliable hands-free communication is an important capability. Cardo Systems makes the process easy with its scala-500 headset. Multifunction wheel is a little awkward. Light, on ear design, car adapter, LONG standby time AND LONG talk time. Have to fiddle with ear piece for most of 2 months.